Why the Hysteria About WATER WISTERIA ? Water Wisteria is very easy to grow a plant for a beginner but has more demanding needs than that of other aquarium plants such as Java Fern, Java Moss or Anubias. However, many people grow Water Wisteria successfully with little or no experience of planted aquariums previously. Water Wisteria is from the Acanthus family and is known by the Latin name of "Hygrophila difformis". It is widely regarded as being very easy to grow and prefers an environment where it can get a large amount of light, but will grow slowly under less favourable conditions. In natural environments, it is normally found in marshy habitats on the Indian subcontinent where it can easily be identified by finely branched light green leaves and flowering above water. The temperature of the water also serves to determine the shape of the leaves, when the temperature is higher they will grow larger with more space between them than they would do in colder temperatures. Although lighting conditions have to be more intense than of other easy to keep plants such as the previously mentioned Java Fern, Water Wisteria is still very easy to keep. High light conditions do have the effect of encouraging cyanobacteria and algae growth in aquariums, but this is offset by Water Wisteria's high uptake of nutrients. The effect this has on bacteria and algae is to deprive them of much of the nutrients they need for growth, even though they will have plenty of light for photosynthesis, starving them to death before they can become an annoyance. Nutrient-rich water and substrate are important for this plant to get the best results from it, as it will uptake nutrients through its roots and from the water column. Although they are not strictly necessary, Water Wisteria should benefit from Co2 injections and liquid water fertilizers. Applying a liquid water fertilizer, particularly one containing Iron, would only be necessary roughly once a week. It is a good idea to note that regular pruning may be necessary if conditions are very good for this plant to keep it from overtaking the aquarium. Due to its size, it makes an excellent place for fry to hide, growing to be anywhere between twenty to fifty centimetres with a width of roughly fifteen to twenty-five centimetres. In less than optimum lighting conditions it can still do very well, depending on exposure, in a nutrient high environment even in low light it may be necessary to prune once a month. Cuttings which are taken at this time are normally easily propagated into new plants. 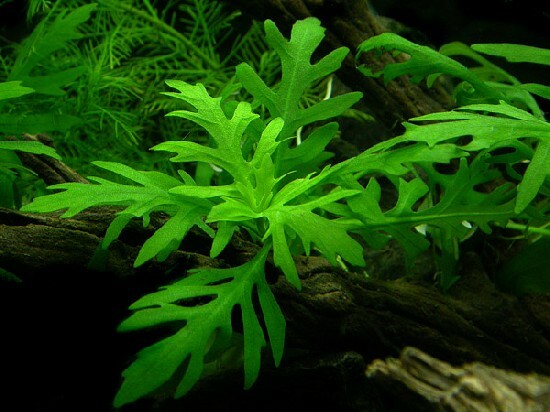 Although Water Wisteria is somewhat more demanding than other plants, it is still a very easily kept aquarium plant, particularly beneficial for live-bearing fish. Providing the water quality is high and a decent amount of light is available it should do extremely well in most aquariums.